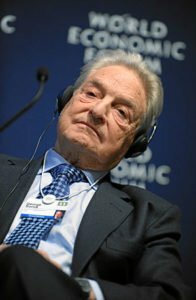 The U.S. government gave George Soros money to put Socialists in power. According to recently released government documents, Uncle Sam shelled out $9 million in U.S. tax dollars to campaigns organized by Hungarian-born billionaire George Soros. And there's one federal agency in particular behind this massive "philanthropic donation" made on U.S. taxpayers' dime. The State Department – under former U.S. President Barack Obama. George Soros and Socialist Albania Say: "Thanks, Obama!" The conservative watchdog organization Judicial Watch released documents yesterday (April 4) – papers the U.S. State Department was forced to relinquish – that show the agency had spent almost $9 million on political reform efforts in Albania in 2016. And these reform efforts were coordinated by Soros. In particular, via the State Department, the U.S. Agency for International Development (USAID) channeled funds into Soros' "East-West Institute," which hosted a campaign in Albania aimed at government reformation. That money couldn't have come at a better time for Socialist Prime Minister-hopeful Edi Rama. You see, Albania in 2016 was about a year off from elections. And Rama was vying for his spot at the head of the country's executive chapter. Opponents of Rama – chiefly, Albania's conservative Democratic Party – had little more than grassroots anti-Rama campaigning to oppose the Socialist leader ahead of that big vote. Thanks to Soros' "gift" from the U.S. taxpayer, Albania's rising Socialist regime was rife with funds. The Democratic Party suffered a landslide loss to the Socialists in Albania's 2017 election. It secured only 43 seats in the 140-seat parliament and put Rama in power. Ever since that loss, the country has been up in arms, with the Democratic Party leaders chastising the current government's cavalier disregard for the rule of law and an intimate relationship with organized crime and corruption, allegedly with Rama, in particular. In short, the U.S. government helped Soros contribute to Rama's election. Indeed, the USAID's $9 million donation in 2016 was used "to fund left-wing political activities in Albania, including working with the country's Socialist government to push for highly controversial judicial 'reform,'" said Judicial Watch in a statement yesterday. "The records also detail how the Soros operation helped the State Department review grant applications from other groups for taxpayer funding." It's important to remember that Judicial Watch is reporting this information from once-secret State Department documents. And these documents indicate that former President Obama himself knew what was happening all the while. "The Obama administration quietly spent at least $9 million in U.S. taxpayers' dollars in direct collusion with left-wing billionaire George Soros's backing of a Socialist government in Albania," Tim Fitton, president of Judicial Watch, said in a statement, according to FOX News on Wednesday. Soros "shouldn't be receiving taxpayer support to advance his radical left agenda to undermine freedom here at home and abroad," Fitton argued. Soros is a multibillionaire, after all. And this is just the tip of the iceberg when it comes to Uncle Sam's secret agenda operations. On Feb. 27, Chair Jerome Powell revealed the Fed would raise interest rates. What he didn't say is that those rate hikes could send the U.S. economy into a tailspin… and very well might lead to the greatest economic collapse since the Great Depression. Because it's possible to protect yourself from the coming economic disaster – but you have to act now.